In this democast, Erin demonstrates some of the online tools and external applications available in version 13 of the Kurzweil 1000 scanning and reading software. for more information, visit Kurzweil Educational Systems. If you have an idea for a tip, trick or tidbit, please feel free to submit it for a possible upcoming episode! In this democast, Erin reviews and describes the Lenovo Thinkpad X230. A written review of this durable and lightweight laptop can be found on the Engadget website. Please join Erin and Rodney for the 3rd Annual Melting Pot Show New Year’s Eve Extravaganza 2012 as they countdown to 2013! They’ll be playing current hits as well as your all-time party favorites. Grab a red solo cup and head on over to the Home of the Fun Guys, MushroomFM.com, on Monday, December 31st at 11PM as the party begins! 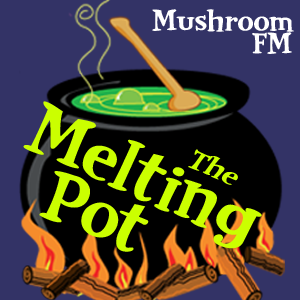 Follow the show on Twitter @MeltingPotShow and visit the show page at MushroomFM.com/MeltingPot. Please excuse the feed cross-postings! This democast demonstrates and discusses BARD, the Braille and Audio Reading Download Service available to patrons of the U.S. National Library Service for the Blind and Physically Handicapped. Erin talks about many of the recent major changes and updates to the site. She also talked with Shannon Curry, a fellow BARD patron, about her impressions. For more about Shannon, visit her blog here and follow @bardsong on Twitter. Shannon and Erin also host a podcast called Book Hoarders Anonymous, dedicated to reading of all kinds. Visit BHAPodcast.com to download the latest episode. If you have an idea for a tip, trick or tidbit, please feel free to submit it for a possible upcoming episode! This demonstration will look at the iOS 6 (version 1.5.6), web and Windows 7 interfaces of Dropbox (, a file-sharing and sync service. If you have an idea for a tip, trick or tidbit, please feel free to submit it for a possible upcoming episode! Sign-Up for a Free Dropbox Account here! This democast discusses various improvements and enhancements in iOS 6, Apple’s relatively new mobile operating system. We also take a look at the design of the new iPhone 5 and a customized case from Otterbox. This demonstration is a very special presentation that we prepared for Spacial Audio, makers of SAM Broadcaster, to provide information about their new SAM Vibe product that is designed with the visually impaired in mind. SAM Vibe provides a friendly user interface for the novice to intermediate broadcaster to create their own Internet radio station in the cloud. Spacial provides a free account so that you can get started immediately. If you have an idea for a tip, trick or tidbit, please feel free to submit it for a possible upcoming episode!